of Americaâ€™s most trusted medical advisors.In The Wisdom of Menopause, she once again challenges convention with this inspiring look at one of the most commonly misunderstood female health issues. The â€œchangeâ€ is not simply a collection of physical symptoms to be â€œfixed,â€ Dr. Northrup claims, but a mind/body revolution that brings the greatest opportunity for growth since adolescence. The choices a woman makes nowâ€“from the quality of her relationships to the quality of her dietâ€“have the power to secure her health and well-being for the rest of her life. Through her personal story and many fascinating case histories, Dr. Northrup shows:â€¢ How menopause jump-starts changes in the brain, issuing a dramatic wake-up call to body, mind, and emotionsâ€¢ How to ensure the long-term health of breasts, bones, and heartâ€¢ How the body adjusts naturally to changing hormonesâ€¢ Why bestselling drugs like Premarin may not be the best choiceâ€¢ How to deal with metabolism shifts, weight gain, sexual problems, and appearance issuesâ€¢ How to negotiate the challenges of â€œthe empty nestâ€ and midlife marriageAnd much more. 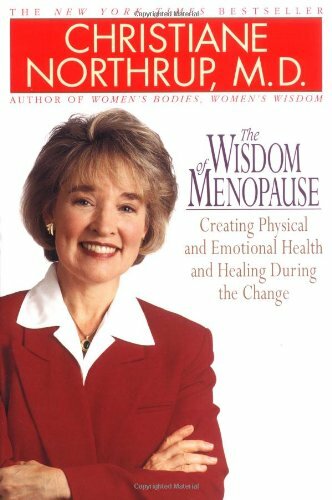 In a book destined to be a classic, Dr. Northrup shows women how they can make menopause a time of personal empowerment and positive energyâ€“emerging wiser, healthier, and stronger in both mind and body than ever before.